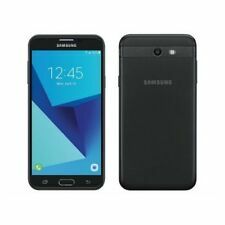 UNLOCKED Samsung Galaxy J7 (2017) SM-J727A - 4G LTE AT&TWorld Phone in Black Color. 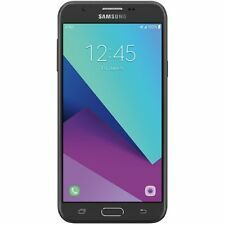 Samsung Galaxy J7 Phone. Phone have visible blemishes/scratches on the screen/corners. Battery Door. 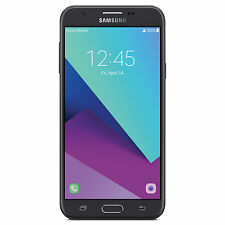 Samsung Galaxy J7 TOP J737 (2018) -32GB Black GSM Factory Unlock 2GB RAM /5.5'/ 13MP ! SAMSUNG WARRANTY W/ Republic Wireless ALL GSM Carrier. We are not responsible for any settings issues, it is your responsibility to make all the features work with your carrier. Gsm unlocked. heavy sign usage. 16GB ROM/2GB RAM. 3300 mAh Battery. We respond to all inquiries within 24 hours and typically much sooner. We are here to assist you! OEM Charging Block and Cable. Battery Cover. OEM Battery. Excellent: The item is in excellent condition.There are no scratches or blemishes. To ensure functionality and reliability, the item has been tested and is 100% fully functional. Battery cover. This phone is in like new condition. I've had the phone for 6 months, it's still practically brand and in EXCELLENT conditon. Nothing is wrong with the phone I just want something different. (charger & case included). Still has 6 months left on the factory warranty. INCLUDES - COMPATIBLE BATTERY - BATTERY DOOR - no other accessories or parts are included. Where applicable - SIM card is not included. PASSED Power On PASSED Speaker. Functional Condition Test Results. Phone works great. Phone has scratches and scuffs on the sides and back, but is in overall good condition. No screen burn. CDMA and GSM Unlocked! Locked vs. Unlocked Wireless Devices. So it’s important to ask your provider if the phone you want is compatible. WIRELESS MARKET. Wireless Market will do everything we can to resolve your issue as quickly as possible. If you look closer, it will have minor used or nick scratch etc. Clean esn and Carrier compatibility. This phone is in like new condition. Condition Guideline. 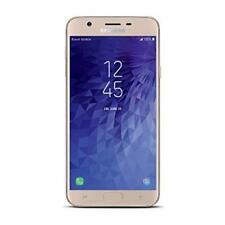 Samsung Galaxy J7 Refine 32GB - Gold. This Box Includes: Samsung Galaxy J7 Refine, Battery, USB/Data Cable, Important Information Booklet.